That (and this) being said, I am so excited to be part of Petit Vour’s extended family! 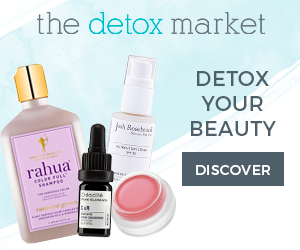 If you aren’t familiar with them already, they’re an online boutique that offers cruelty-free and nontoxic makeup, skincare, hair and body products, accessories, apparel and more. My involvement right now is as an affiliate, which means that I get a blogger discount if I purchase something to review (score! ), I may make a small commission/percentage if you buy something from Petit Vour via my recommendations and links, and I may also get occasional benefits and info to pass onto you like sales, discounts etc. 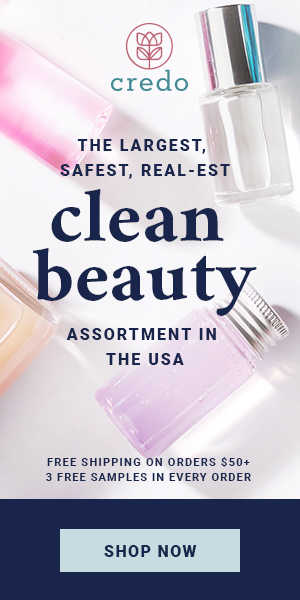 I really love Petit Vour and am so happy to be an affiliate for them because they have such a great variety of product categories and brands. They’re also a great shopping source because they offer so many sample and travel sizes on their website. 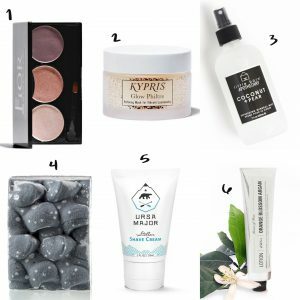 Buying new and unfamiliar beauty brands online can be intimidating, especially when products with high quality and luxury ingredients are often more expensive. Finally, as I mentioned above, I already subscribe to their monthly beauty box. 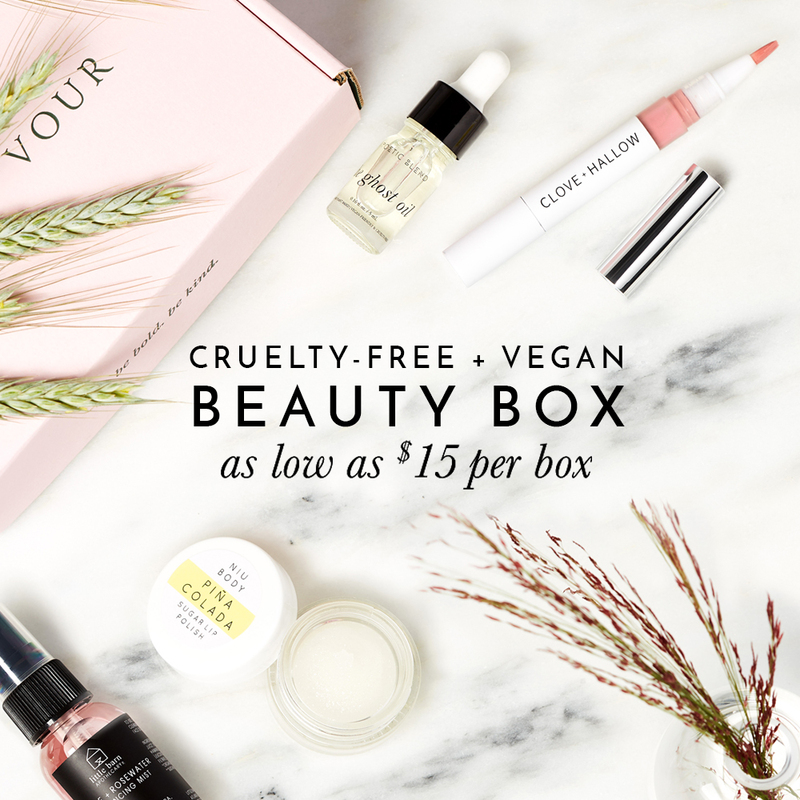 I’m working on a project for you guys comparing many of the different clean/nontoixc beauty boxes available right now (and using my own money so far to pay for them), and I can already tell you that Petit Vour’s is the most affordable (only $18/mo or $15/mo if you pay for a year at once). 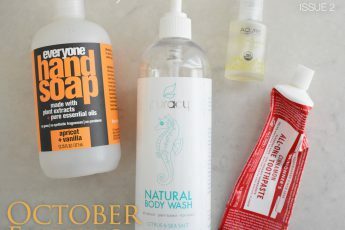 They also include multiple brands per box and the product sizes are so much more manageable than other boxes that include huge full-size products every month. So I find their subscription boxes far less wasteful than others so far. My affiliation with PV isn’t going to change much about how I shop or what products I want to use and try. I’m still using my own money to purchase products and free (as in extra as well as unpaid/uncompensated) time to review them, and I honestly did a lot of my shopping there already! 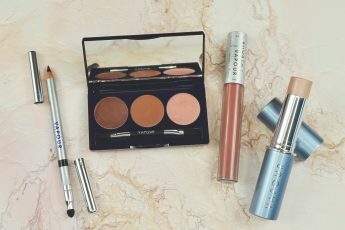 Below are some of my favorite products I bought and loved this past year, as well as some that are on my wish list now. 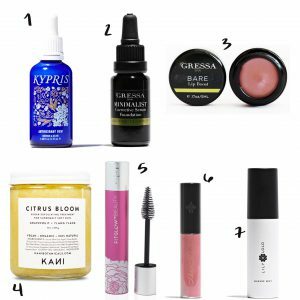 Kypris Antioxidant Dew: One of the first clean beauty products I bought, and still in my top 5 favorites. I use it as a moisturizer, serum, and base to mix facial oils with since I don’t love putting oil directly on my face. Gressa Minimalist Foundation: Probably my current favorite foundation. It is the best coverage I’ve found so far and you only need a drop or two so it lasts forever. My only issue is the shade range and that I had to buy two colors to mix! Gressa Lip Boost: The color Bare is the perfect “your lips but better” shade. Also huge amount of product and will last awhile. Kani Citrus Bloom Body Polish: A great sugar scrub that feels SO good this winter. Also I am obsessed with the scent. Fitglow Good Lash + Mascara: The best nontoxic volumizing mascara, in my opinion! Not the cheapest brand or product, but I will repurchase because the formula is that good and lashes are important to me! 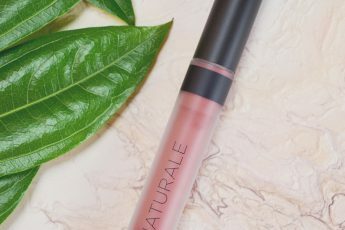 Marie Natie Lipgloss: I just randomly picked this up and haven’t heard much about the brand, but this gloss is so good! It does have a slight texture like mineral glosses you might be familiar with, but the color, scent, and shine are amazing! 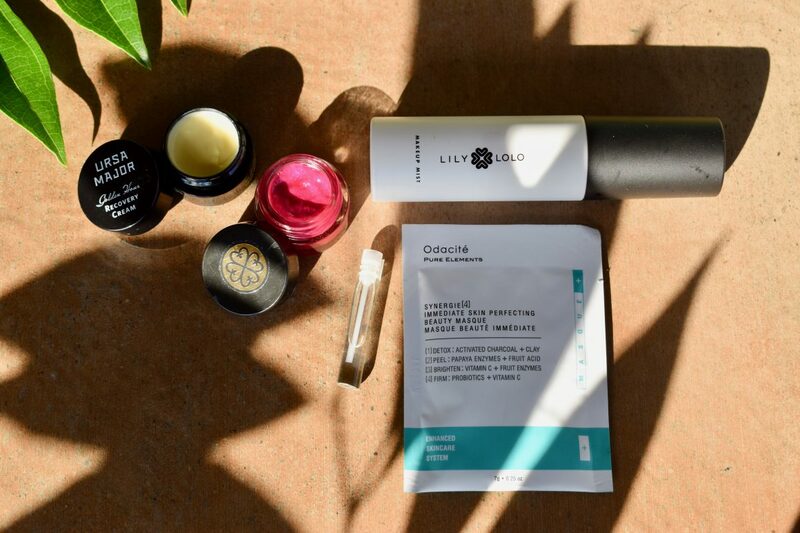 Lily Lolo Makeup Mist: This full-size face mist came in one of the monthly boxes, and it’s perfect for setting makeup, adding a little bit of moisture and for wetting brushes/powder products for more color payoff! FiOR Minerals XOXO Eyeshadow Palette: I mean look at the name! Also, I can’t get enough of eye palettes. I always forget about individual eye shadows because they kind of get lost in my other makeup. 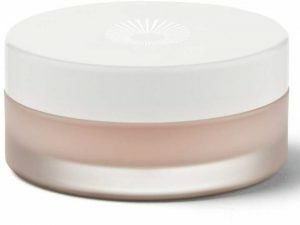 Kypris Glow Philtre Mask: Kypris is just a super gorgeous brand, and everything I’ve bought from them is amazing so far. I’m finally getting into masking a little bit more, and this one sounds amazing. Little Barn Apothecary Coconut + Pear Body Mist: I’ve had a hard time finding something that’s all natural and smells nice in a body spray type product. Pear is also one of my favorite scents. Osmia Oh So Detox Soap: I love, love Osmia. I already use the Oh So soap, and have been wanting to try this version with charcoal in it as well. Ursa Major Stellar Shave Cream: I’m currently using conditioner as shave cream and it works well, but I’d like to find something more like I’m used to for shaving. I believe that this doesn’t foam like conventional products, but I want to try it out to see how it works! Also, I’d love to get Rob back into using cleaner self care products. Leaves of Trees Orange Blossom Argan Hand + Body Cream: I Cannot. Get. Enough. hand cream this winter! We don’t even live in a state that gets very cold, but the constant air conditioning and heat alternating and washing my hands a billion times a day is killing me. Have you shopped at Petit Vour yet? What are some of your favorite brands & products that they carry? Any requests for certain product reviews or makeup looks? Let me know! *this post contains affiliate links! If you click to purchase, I may receive a percentage at no extra cost to you that can help support the blog. Thanks!